Daffys Gin cocktail recipe on how to make tasty cucumber and mint gin fizz! As the popularity of gin rises so does our creativity when it comes to picking the perfect garnish. From sliced strawberries to sprigs of rosemary there's not much you can't swish into a cheeky G&T! 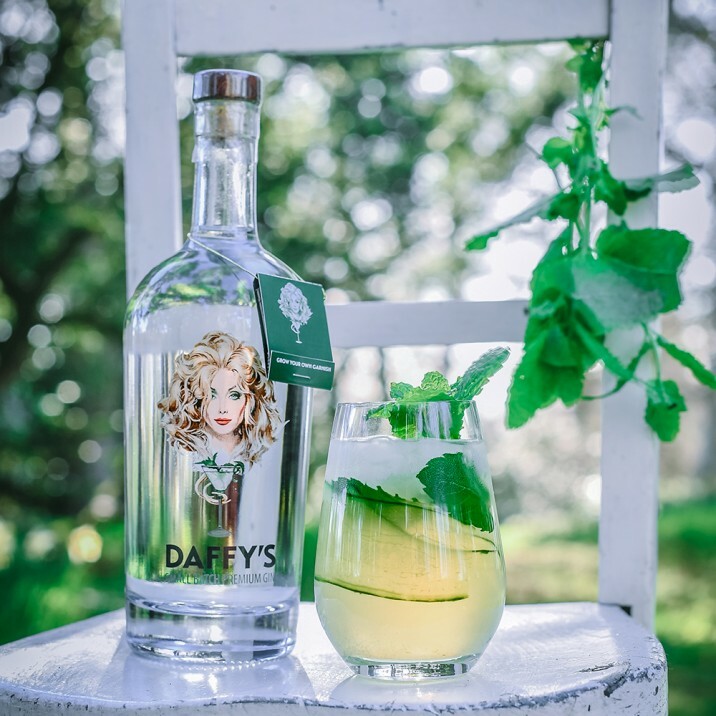 Often, the perfect pairing will be noted on the bottle but popular gin brand Daffy's have taken it one step further by adding a sachet of seeds so you can actually grow your own garnish! Growing your own mint is suprisingly easy and if you don't have access to a garden you can grow it indoors. This easy to tend herb will get you well on your way to creating your very own kitchen garden. This week Gill has taken her freshly grown mint and added it with slices of cucumber, freshly squeezed lime juice and of course a generous splash of gin. The addition of sparking elderflower juice transforms this cocktail into a fizzy sensation that you just have to share! 1. In a cocktail shaker muddle the mint and lime juice and fill with ice, gin and shake well. 2. Arrange the cucumber slices around the inside of your glass and strain the cocktail into your glass. 3. Top up with the elderflower juice, stir and serve with some mint garnish.